Apply for an EnergyWorks Loan Today! https://www.navyyard.org/theyardblog/wp-content/uploads/2014/03/energyworks_logo-150.jpg 150 150 The Navy Yard https://www.navyyard.org/theyardblog/wp-content/uploads/2019/02/Navy-Yard-Logo.jpg The Navy Yard2014-03-31 10:48:592014-03-31 10:49:27Apply for an EnergyWorks Loan Today! 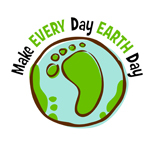 Join The Navy Yard in celebrating Earth Day 2014 with a full week of fun and informative activities focused on sustainability! This year for Earth Day, the Earth Day Network has chosen the global theme of Green Cities. The Earth Day Network says, “With smart investments in sustainable technology, forward-thinking public policy, and an educated and active public, we can transform our cities and forge a sustainable future.” Along with Mayor Michael Nutter’s pledge of making Philadelphia the number one green city in America, be sure to join the over a billion people in 190 countries that participate in Earth Day each year by marking your calendar for the entire week of April 20-25, 2014. Founded in 2012, Cloudnexa helps companies to deploy, grow, and manage their cloud computing infrastructure on Amazon Web Services. 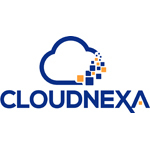 As a Premier Consulting Partner of AWS, Cloudnexa has proven expertise in design, deployment, and management of scalable, secure cloud infrastructures for businesses, universities, non-profits, and government entities, providing the necessary value added services and expertise customers need to realize the true cost savings and technical value proposition of the cloud. Villanova University Engineering is at The Navy Yard! This month’s Tenant Spotlight features Villanova University College of Engineering at The Navy Yard. For more information about Villanova, please contact: John Dell’Osa at 484-431-7721 or John.DellOsa@villanova.edu. Did you know Villanova University College of Engineering has a classroom at The Navy Yard? Located at 4775 League Island Blvd, the classroom features advanced broadcasting and web teleconferencing capabilities, as well as a separate breakout room/meeting space, promoting learning in a modern, professional setting. 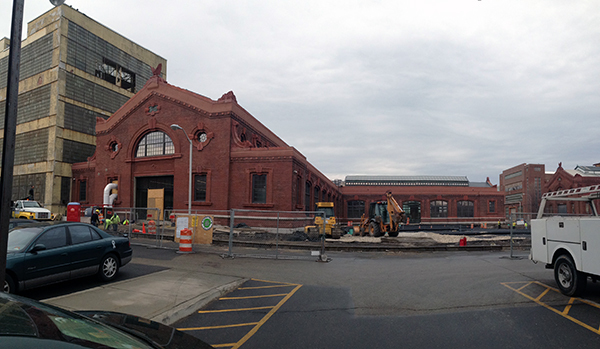 https://www.navyyard.org/theyardblog/wp-content/uploads/2014/03/VU14BLUE-150.jpg 137 150 The Navy Yard https://www.navyyard.org/theyardblog/wp-content/uploads/2019/02/Navy-Yard-Logo.jpg The Navy Yard2014-03-11 16:09:532014-03-11 16:09:53Villanova University Engineering is at The Navy Yard!